Blake joins ADK with years of executive recruiting experience primarily focusing on public sector clients including aviation, transportation, and local governments. Previously, Blake practiced law in both the public and private sectors, with a concentration on criminal law. Most recently, Blake was a senior associate at Krauthamer & Associates, Inc, a large executive recruitment firm in Chevy Chase, MD. Prior to his work at Krauthamer, Blake was an associate attorney with the Law Offices of Daniel J. Wright. 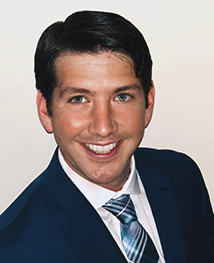 After receiving his bachelor’s degree in sports management with a minor in business from the University of Florida, Blake attended Barry University Law School where he earned his Juris Doctorate degree and is a licensed attorney in the state of Maryland. Blake also spent time in Rome, Italy at Temple University School of Law’s Cultural Immersion Program. Blake currently resides in Florida with his wife and two young children. They enjoy traveling, attending Florida Gator football games, and going on cruises.